Juelz Santana recently sat down for a live interview with Complex on their “The Music Show”. Around the 23:00 mark, Juelz recalled the story of when the police raided his studio and took his hard drive. 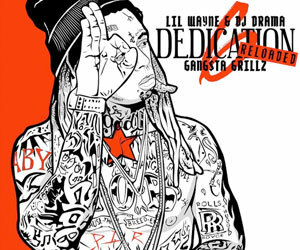 He says there was about 100 unreleased songs erased from the hard drive when he finally got it back including 20 collaborations with Lil Wayne as they must of recorded about 60. Santana did mention that Tunechi may still have the tracks on his hard drive, because they worked back and forth by sending each other verses. He even mentioned that him and Tune are still close like brothers and if they really wanted to, they could release a joint project right now. 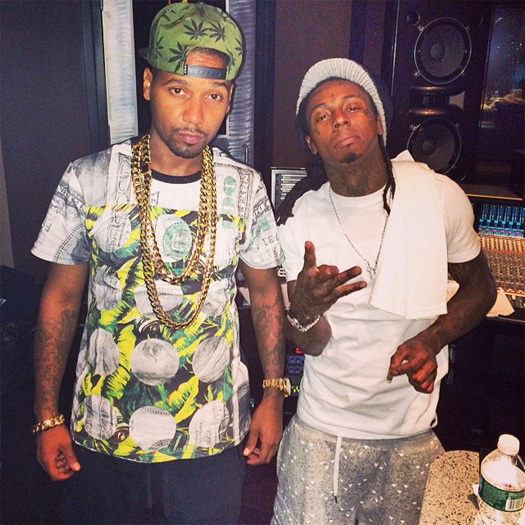 Before the conversation wrapped up, Juelz even spoke a little bit about his and Weezy‘s “After Disaster” collabo and revealed that their I Can’t Feel My Face project never dropped, because back in the days there was just too many politics with labels. For a little bit of hope, he says there aren’t that many label politics anymore if they did want to drop ICFMF. You can watch the full interview after the jump below. Santana also told a story about Lil Wayne to show just how much of a real rapper he is and how crazy his work ethic is. This story was on the night after finding out his Tha Carter III album had gone Platinum in one week, Juelz sent him 3 songs and Wayne sent them all back on the same night! In a recent interview with the Associated Press, Lil Wayne explained why he does not believe in racism and for his reasoning, he tells the story of when he shot himself at the age of 12-years-old. 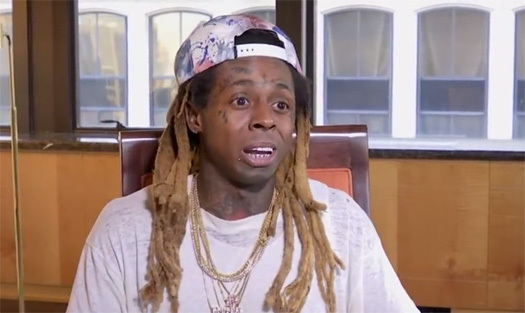 Tunechi recalled that it was a white police officer named Uncle Bob who saved him after he was bleeding on the floor with a hole in his chest and it was black cops that stepped over him to look for guns and drugs. You can watch Tune tell the story in the video after the jump below. This is not the first time that Weezy has mentioned he doesn’t believe in racism as in the “Skip And Shannon: Undisputed” interview last month, he said he has never ever dealt with racists and has seen every race at his shows. Also, in an interview with The New York Times earlier this week, Wayne revealed he doesn’t worry for racism and the Black Lives Matter movement as he only cares for his family! 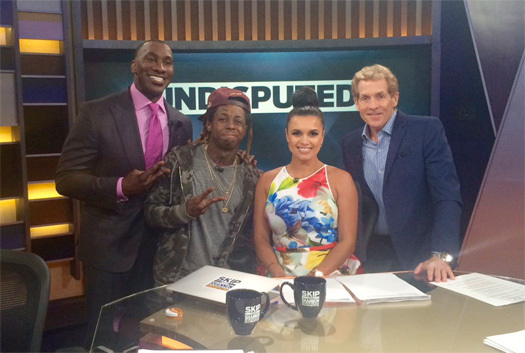 This morning at 9:30AM, Lil Wayne made an appearance on Fox Sports 1’s “Skip And Shannon: Undisputed” show to chat with Skip Bayless and Shannon Sharpe, which of course we already know Wayne has the theme song for. 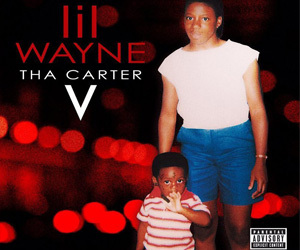 While on the show, Weezy spoke on his retirement tweets by saying he did them after an argument with what’s going on with his Cash Money situation, explained he hasn’t deleted them as he still feels “mentally defeated”, mentioned he will never work with Birdman ever again even if he pays him what he is owed, and how it felt to have a bunch of music artists like Drake, Young Thug and Kendrick Lamar come to his defense. Before the interview wrapped up, Tune also talked about creating the “No Mercy” song, wanting to work with Michael Jackson and Prince, why there are no such thing as “remixes” anymore, how he became a Green Bay Packers fan in New Orleans, Aaron Rodgers, the only politics to himself are his kids, LeBron James, his tattoos, Kevin Durant‘s decision to sign to the Warriors, Dwayne Wade returning to Chicago, Colin Kaepernick‘s protest, being blessed enough to never deal with racists throughout his life, being saved by a white police officer when he shot himself, not thinking there is such thing as racism anymore after seeing every race at his shows, and plenty more! A few days ago on September 2nd, the Miami police officers were called to Lil Wayne‘s crib on La Gorce Island in Florida after they received a 911 call reporting there was a shooting inside the house. Of course when the police turned up, they found no victims and it ended up being another hoax 911 call, which is the same thing that happened to Wayne last year in March. After the incident, Tunechi took to Twitter to thank the authorities for always being alert. The MPD (Miami Police Department) responded to Tune on their own Twitter page by saying they are glad he is okay and thanked him for the support. You can check out a news clip of the incident after the jump below that also shows Weezy arriving to his mansion in his Bugatti! 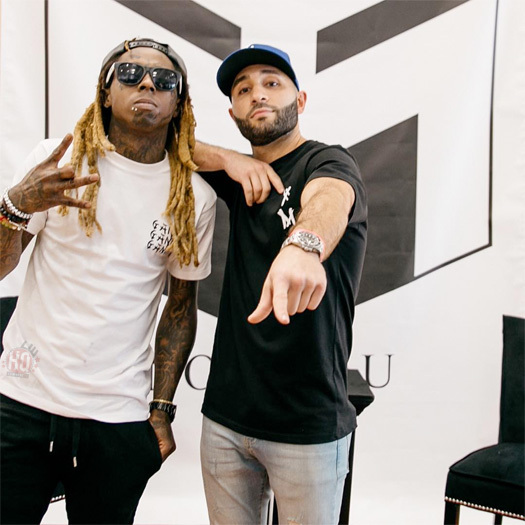 Remember the $2 million that Lil Wayne owes to a private jet leasing company, Signature Group, after losing a lawsuit to them back in September? Well Tunechi has now took out a $1.5 million loan to help pay off the bill and he is using his private Miami indoor skate park aka the TRUKSTOP as collateral. This means that Weezy will be able to keep possession of his expensive art, plaques, and signed football helmets that the Miami police officers took when they raided his mansion earlier this month! Yesterday, the Miami Beach police raided Lil Wayne‘s mansion in the city to take certain assets that they think make up the $2 million bill he owes to Signature Group (a private jet leasing company), which a judge had ordered Wayne to pay after losing a lawsuit to them back in September and still hadn’t paid them. 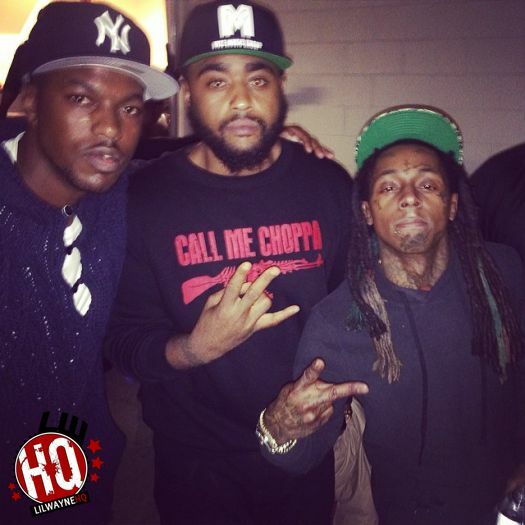 According to TMZ, the security at Weezy‘s house (as he was in another city yesterday doing a club appearance) would not let the officers inside the house at first. However, they had a warrant from the court that allows them to break the locks if needed to gain entry and seize any property they want. The police ended up taking several pieces of expensive art and plaques that Tunechi had hanging on his walls to make up the $2 million amount. Officers had also brought a person into the crib to value all of the art that Tune had, which was so called worth up to $30 million. You can check out a news report video of the raid going down after the jump below, as well as also read Mr. Carter‘s response to it all!